Price: $2.99 (as of 04/30/2016 at 8:00 PM ET). Click here to take a Look Inside Protector. 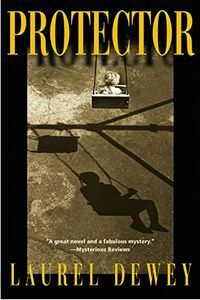 Read our review of Protector by Laurel Dewey on Mysterious Reviews. 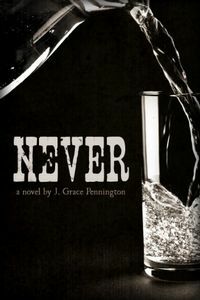 Denver homicide detective Jane Perry, a hard-drinking, street savvy investigator, possesses an almost psychic instinct for solving the most jarring homicides. But now, that intuitive insight has taken on an eerie twist. Ever since the murder of a family Jane and her partner were protecting, she has been plagued with disconnected images that predict events yet to happen. One of Jane's disturbing visions leads to nine-year-old Emily Lawrence, a child thought to have witnessed the brutal stabbing death of her parents but unable to remember anything about that horrific moment. The two characters fatefully come together, unaware that they share a mystical connection. Price: $2.99 (as of 04/30/2016 at 7:00 PM ET). 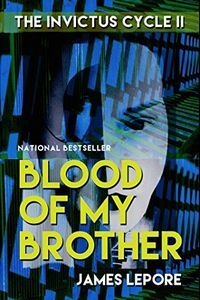 Click here to take a Look Inside Blood of My Brother. When Jay Cassio's best friend is murdered in a job clearly done by professionals, the walls that he has built to protect himself from the world of others begin to shatter. Dan Del Colliano had been his confidante and protector since the men were children on the savage streets of Newark, New Jersey. When Dan supports and revives Jay after Jay's parents die in a plane crash, their bond deepens to something beyond brotherhood, beyond blood. Now Jay, a successful lawyer, must find out why Dan died and find a way to seek justice for his murder. Isabel Perez has lived a life both tainted and charmed since she was a teenager in Mexico. She holds powerful sway over men and has even more powerful alliances with people no one should ever try to cross. She desperately wants her freedom from the chains these people have placed on her. When Jay catapults into her world, their connection is electric, their alliance is lethal, and their future is anything but certain. Price: $4.95 (as of 04/30/2016 at 6:30 PM ET). Click here to take a Look Inside Some Like 'Em Dead. After thirteen years, the great chase is over and Joe Bernardi is marrying Bunny Lesher. After a brief weekend honeymoon, it'll be back to work for them both; Bunny at the Valley News where she has just been named Assistant Editor and Joe publicizing Billy Wilder's new movie, "Some Like It Hot" about two musicians hiding out from the mob in an all-girl band. It boasts a great script and a stellar cast that includes Tony Curtis, Jack Lemmon and Marilyn Monroe, so what could go wrong? 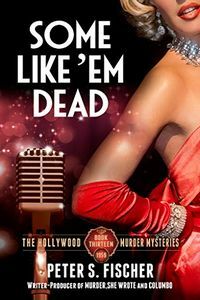 See all thirteen titles in the Hollywood Murder Mysteries Series for $4.99 or less each on Kindle. Price: 99¢ (as of 04/30/2016 at 6:00 PM ET). 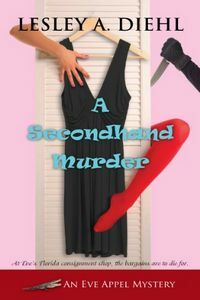 Click here to take a Look Inside A Secondhand Murder. Spunky and outspoken Eve Appel moves from Connecticut to rural Florida intent on starting a new life, free of drama, and more importantly, her soon-to-be ex-husband. The rural Florida town of Sabal Bay, situated only an hour from West Palm, proves to be the perfect spot for her consignment store. Thanks to the recent economic downturn, Florida's society matrons need a place to discreetly sell their stuff and pick up expensive-looking bargains. But Eve's life, and her business with it, is turned upside down when a wealthy customer is found stabbed to death in a fitting room. As accusations fly and business slows, Eve decides to take things into her own hands. With the help of an unlikely bunch of friends — including her estranged ex, her best friend, a handsome private eye, and a charming mafia don — she struggles to find answers and save lives. Through a maze of distorted half-truths, dramatic cover-ups, and unrequited passions, Eve learns just how far the wealthy will go to regain what they have lost. Price: 99¢ (as of 04/30/2016 at 5:30 PM ET). Click here to take a Look Inside Close Your Eyes. Former Detective Martin Rhodes spent ten years in prison for murder. After traveling from town to town in search of employment, he arrives in the City of Bridgeton. Rhodes hopes to re-start his life and to leave his past behind him. Special Agent Jo Pullinger is searching for a man who killed her father over twenty years ago. Jo is suffering from a heart condition which she hides from the world. 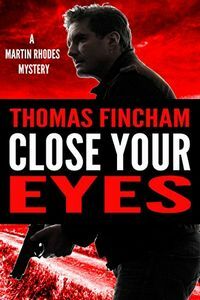 A series of dead bodies on the trains lead Rhodes and Jo to end up searching for the same person. Price: $1.99 (as of 04/30/2016 at 5:00 PM ET). Click here to take a Look Inside Confessions of a Slightly Neurotic Hitwoman. Maggie Lee is not your average hitwoman. For one thing, she's never killed anyone. For another, after hitting her head in the car accident that killed her sister, her new best friend is a talking lizard — a picky eater, obsessed with Wheel of Fortune, that only Maggie can hear. Training has never been so complicated! And, this time, Maggie has to get the job done. Because if she doesn't … she's the mob's next target. Price: $4.99 (as of 04/30/2016 at 4:30 PM ET). Click here to take a Look Inside Violated. The murder is one of the most heinous FBI agent and profiler Brandon Fisher has ever seen. But that's not why he and two members of the team are rushing to California. The Bureau is interested because the prime suspect is one of their own, Paige Dawson. But Paige didn't go to Valencia to kill anyone. She had set out on "vacation" — her new lover in tow — only to confront the man who raped her friend twenty-some years ago. While the hands of the law are tied, she wants him to face the fact that he destroyed a young woman's life and know that, as an FBI agent, she'll be watching his every move. Yet, instead of accomplishing her goal, she wound up in the back of a police cruiser. See all five mysteries in the Brandon Fisher Series for $4.99 each on Kindle. The 1st book in the series, Eleven, is currently FREE! Price: $1.99 (as of 04/30/2016 at 4:00 PM ET). 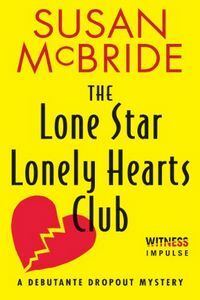 Click here to take a Look Inside The Lone Star Lonely Hearts Club. Wealthy Texas widows need loving too … which is why Bebe Kent joined a dating service for "discriminating" seniors soon after relocating to the swanky Belle Meade retirement community. Unfortunately, Bebe didn't even live long enough to meet "Mr. Right." And though doctors declared her death totally natural, extravagant blue-blooded Dallas socialite Cissy Blevins Kendricks believes her old friend's demise was hastened — and she's ready to check herself into Belle Meade incognito to prove it. Omnimystery News is pleased to introduce a new mystery, suspense, or thriller title available this month from Harlequin, one of the world's leading publishers of books for women. For a complete list of titles published this month, see our New Harlequin Titles page. When someone attempts to kidnap SWAT cop Jenna Reed, what saves her is her training and the impeccable timing of her boss, Lieutenant Griff Vaughn. Then they find the real target hiding in the bushes, a runaway teen who is Jenna's look-alike … and the sister she never knew she had. Teaming up to unravel her sister's past and find the human-trafficking thugs who intend to kill her, Jenna and Griff have no choice but to go on the run — outside the law. 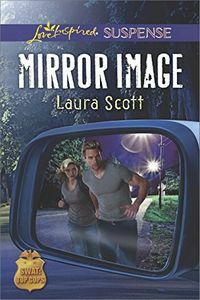 But with time running out — and their all-too-unprofessional attraction proving difficult to ignore — can Jenna and Griff protect Jenna's sister and take down the criminals without sacrificing their careers … or their lives? Price: 99¢ (as of 04/30/2016 at 3:00 PM ET). 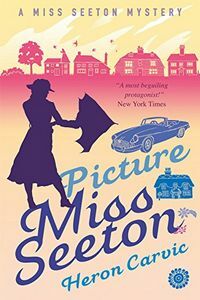 Click here to take a Look Inside Picture Miss Seeton. This is the author's first novel, originally published in 1968. When Miss Seeton walks out of a performance of Carmen and witnesses a real-life stabbing, all she can recall is a shadowy figure. But how could even she have guessed that her latest artistic endeavour is a picture-perfect portrait of the killer? 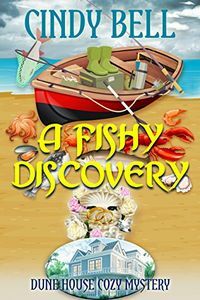 Her caricature, however, puts her in a perilous position, for back at her rustic cottage in Plummergen, she's fated to be a sitting duck … for murder most foul! Click here to take a Look Inside Three Minutes to Midnight. 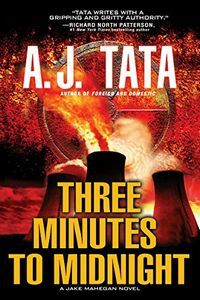 When a third nuclear plant is targeted, Mahegan has no choice but to try. If he fails, our nation falls. The countdown is launched. The clock is ticking. For a list of more new hardcover titles to be published this month, visit our New Mysteries page for April 2016. For new paperback titles, visit The Mystery Bookshelf where a selection of April 2016 mysteries, novels of suspense, and thrillers are shelved. 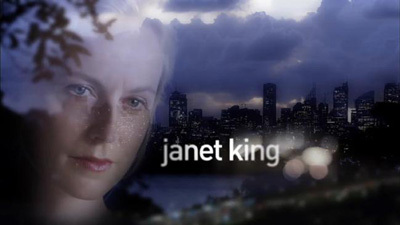 Acorn Media has released a new trailer (below) for its upcoming DVD release of the first season of the Australian crime drama Janet King. In "The Enemy Within", when senior crown prosecutor Janet King (Marta Dusseldorp) returns from maternity leave, she is thrust into the spotlight on a controversial case involving a senior-ranking police officer. As King builds cases around a series of suspects, she clashes with Owen Mitchell (Damian Walshe-Howling), a cunning colleague who will do anything to win. She also contends with Chief Superintendent Jack Rizzoli (Vince Colosimo), who has strong convictions about the direction of the investigations and regularly challenges her authority. 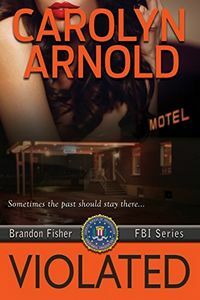 As King makes connections between seemingly unrelated crimes, she unearths a scandal that could damn both the police and the judiciary — and put herself and her family in danger. Janet King Series 1: The Enemy Within will be released on June 21st, 2016 and is available to pre-order. 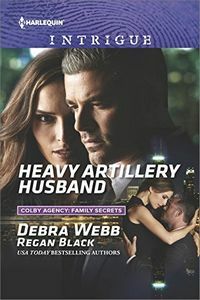 When someone tries to kill security expert Sophia Leone on a dark road, she's rescued by her husband — a US army general she thought died a year ago. Suddenly, Frank Leone is back, very much alive, and insisting that someone is trying to kill Sophia. 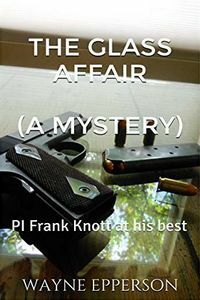 Convicted of treason before his supposed death, Frank claims a shadow group is behind everything. Now Sophia must put her life in the hands of the handsome desperado she married for better or worse thirty years ago … the man she never stopped loving. Price: 99¢ (as of 04/30/2016 at 1:00 PM ET). Click here to take a Look Inside Lost River. A holiday weekend is ruined by a drowning in a picturesque village. 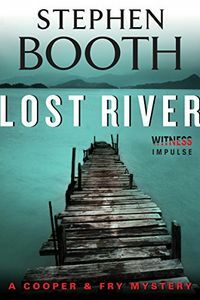 The incident not only traumatizes Detective Cooper, a helpless witness to the tragedy, but leads him to become involved in the tangled lives of the victim's family. As he gets to know them, Cooper begins to suspect that one of them is harboring a secret that the whole family is desperate to cover up. Meanwhile, Detective Fry embarks on a personal journey back to her roots. As she finds herself drawn into an investigation of her own, Fry realizes there is only one person she can rely on for the help she needs. But that man is Ben Cooper, and he's back in Derbyshire, where his suspicions lead him toward a shocking discovery on the banks of another Peak District river. Price: 99¢ (as of 04/30/2016 at 12:30 PM ET). Click here to take a Look Inside A Fishy Discovery. See all eight mysteries in the popular Dune House Cozy Series for $2.99 or less each on Kindle. Omnimystery News is pleased to feature a selection of today's Daily Deals found on Saturday, April 30, 2016. Page last updated 6:45 AM ET. 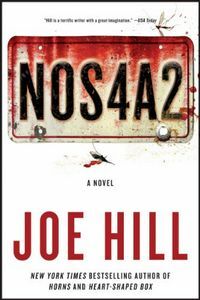 Click here to take a Look Inside NOS4A2. Synopsis: Victoria McQueen has a secret gift for finding things: a misplaced bracelet, a missing photograph, answers to unanswerable questions. On her Raleigh Tuff Burner bike, she makes her way to a rickety covered bridge that, within moments, takes her wherever she needs to go, whether it's across Massachusetts or across the country. Charles Talent Manx has a way with children. He likes to take them for rides in his 1938 Rolls-Royce Wraith with the NOS4A2 vanity plate. With his old car, he can slip right out of the everyday world, and onto the hidden roads that transport them to an astonishing — and terrifying — playground of amusements he calls "Christmasland." Click here to take a Look Inside Dire Straits. 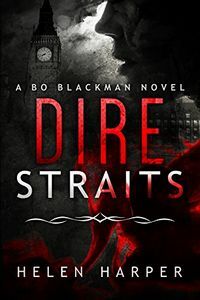 Synopsis: A half-dead daemon, a massacre at her based PI firm and evidence that suggests she's the main suspect for both … Bo Blackman is having a very bad week. 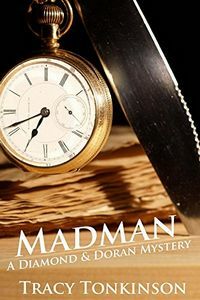 Click here to take a Look Inside Madman. 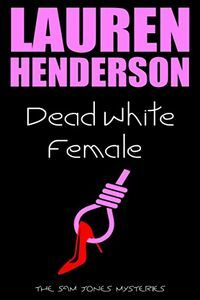 Click here to take a Look Inside Dead White Female. 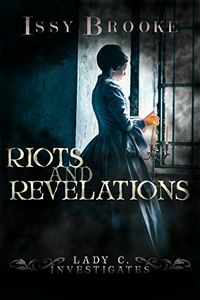 Click here to take a Look Inside Riots and Revelations. Click here to take a Look Inside The Glass Affair. 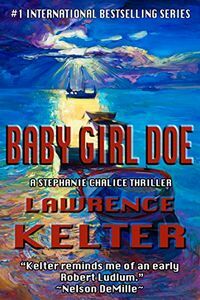 Click here to take a Look Inside Baby Girl Doe. 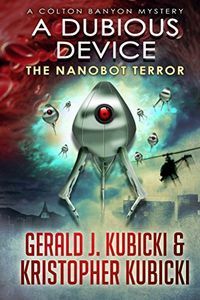 Click here to take a Look Inside A Dubious Device. Click here to take a Look Inside Never. 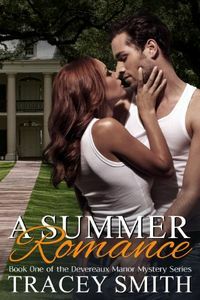 Click here to take a Look Inside A Summer Romance. 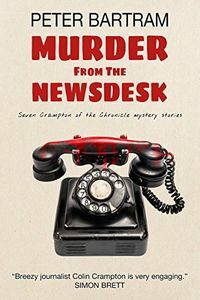 Click here to take a Look Inside Murder from the Newsdesk.